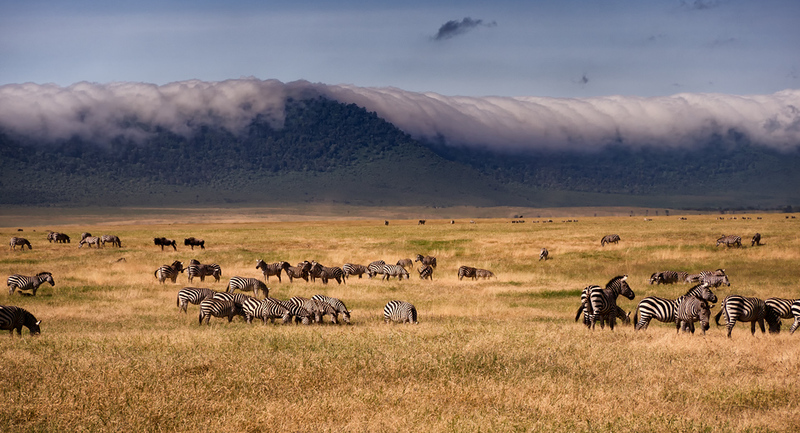 Welcome to Ngorongoro Crater. 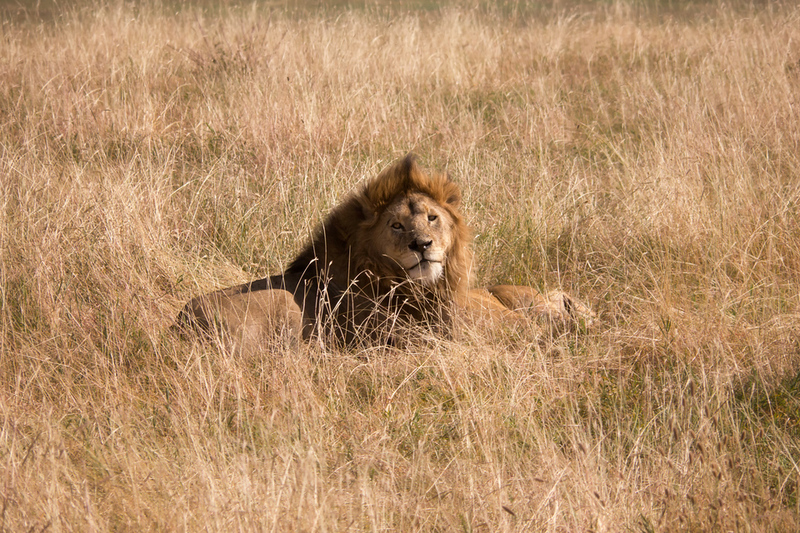 Today’s trip into the crater was our best game drive yet on this trip. The crater forms a natural enclosure, roughly the size of San Francisco. There’s little shelter in the crater and abundant wildlife, leading to many sightings. 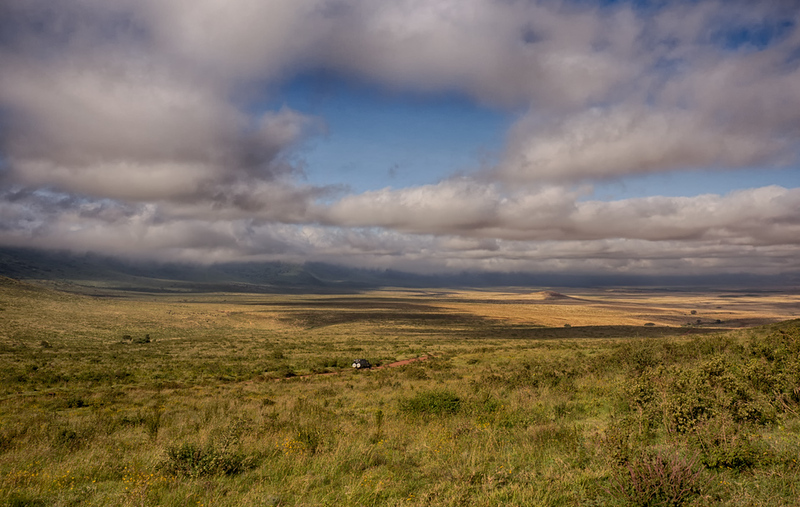 Between the massive tectonic plate shifts that created the great Rift Valley and the volcanoes that created the crater (one of many in the area, actually), this place has certainly seen its share of geologic adventure. The crater is near where Mary and Louis Leakey did their pioneering archeology work. At our lodge, we talked with an older couple from the mid-west who were scheduled to drive through there today, including stopping at the main site of the Leakey’s research. The couple seemed most excited about using that opportunity for a bathroom break. Evidence, maybe, that belief in evolution is still evolving in parts of the U.S.A.
You can see the walls of the crater in the background. 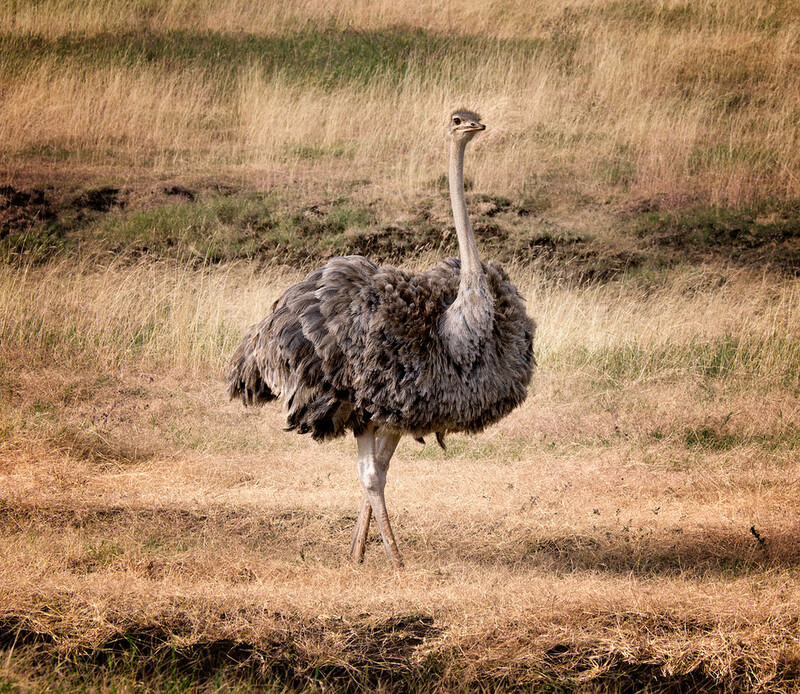 This is a female Ostrich. The males are black. 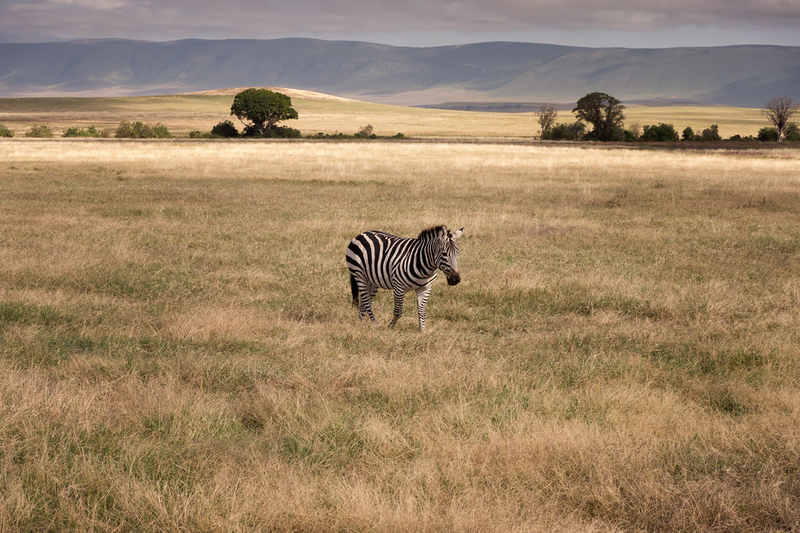 We saw a lot of Zebra. They mostly prefer large groups, but this guy was all alone. As the day progressed, the overcast burned off, until the sky was clear in the crater and we were left with fog hovering at the rim. 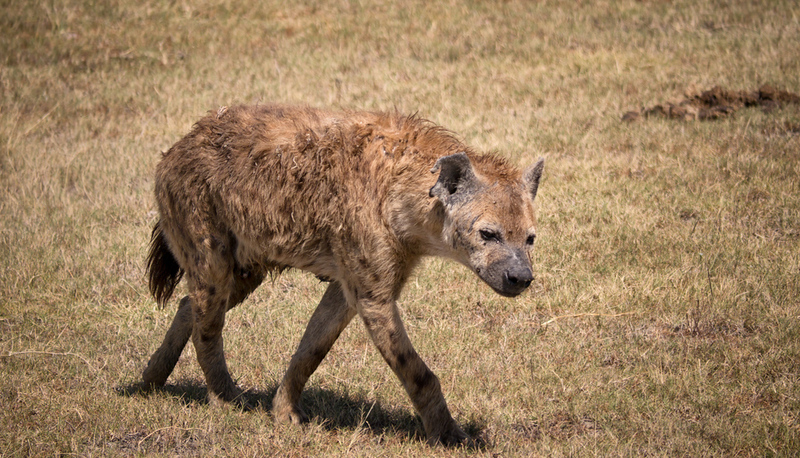 This Hyena was a bit messy from recently feeding. Here’s a Serval, which is a small cat (roughly 30 pounds). 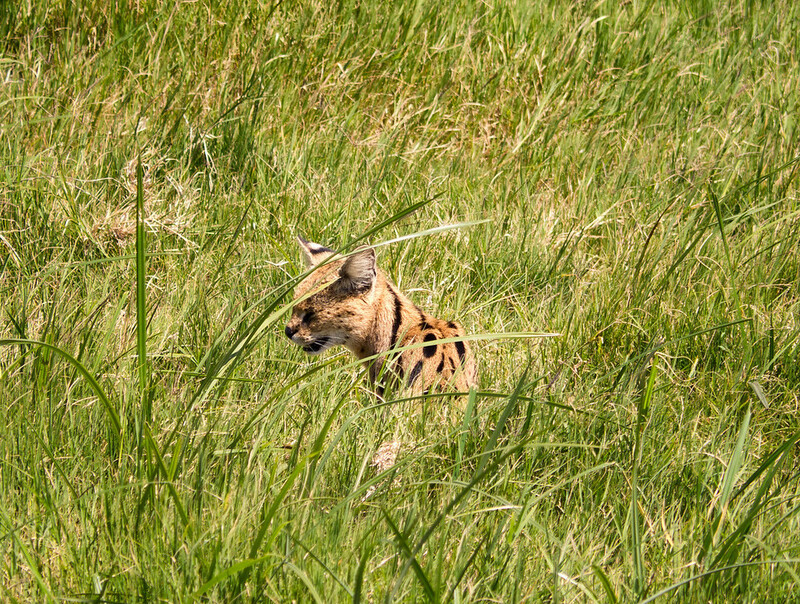 People have been known to keep servals as pets and they can be bred with domestic house cats, leading to a breed called a Savannah. Think of a normal kitty that’s about 30 pounds, and that’s what they’re apparently like. Tomorrow is a travel day; we’re off to the Serengeti.